The Insecta is the most speciose class in the Animal Kingdom. The insect-plant relationship is the dominant biotic interaction, yet plants have many times the biomass of all animals together. The functional significance of insects is enormous, owing to the large numbers of individuals and great intra-and interspecific variety. Lack of human appreciation of importance, coupled with the general disregard and dislike of insects, is an enormous perception impediment to their conservation. This impediment coupled with the taxonomic impediment (at most only about 7–10% of insects are scientifically described) must be overcome for realistic biodiversity conservation. As it is not possible to know all the species relative to the rate at which they are becoming extinet, it is essential to conserve as many biotopes and landscapes as possible. These would be for typical species and communities, as well as for endemic sinks. It is also essential to preserve speciesdynamo areas as an insurance for future biodiversity. Preserved areas must also be linked by movement and gene-flow corridors as much as possible. 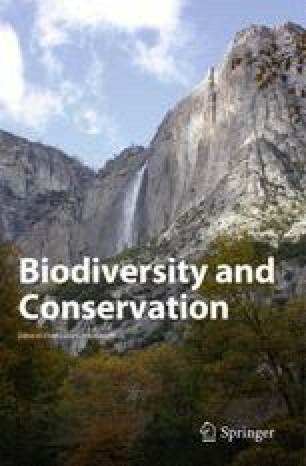 Recognition, functional importance, taxic uniqueness, typicalness, genetic variation and important behavioural traits place much more emphasis on qualitative biodiversity conservation than on quantitative approaches. Ecological entomologists play a significant double role, suppressing noxious populations on crops, livestock and other products, while at the same time identifying and using beneficial species. There are well-known inherent and environmental risks with many traditional control methods and high risks with the use of genetically engineered biopesticide baculoviruses. Preservation technologies, where individuals are held in suspended animation, must be developed soon. However, such technologies, as with restoration activities such as site restoration, captive breeding, reintroductions and translocations, all require considerable knowledge and economic iput to be predictably successful. Ecological restoration involves so many biotic and abiotic interactions in even the simplest of communities, that predictiveness under all potential conditions is virtually unattainable. Instead, there should be strong focus on the preservation and conservation of as many, and as large as possible, pristine and near-pristine unique and typical landscapes as soon as possible.